With the Fourth of July around the corner, it is time to get in the mood for red, white, and blue food for kids. I am all about keeping it as healthy as possible. Or, at the very least, involving lots of delicious fruits to make American flag colors with nature's palette. 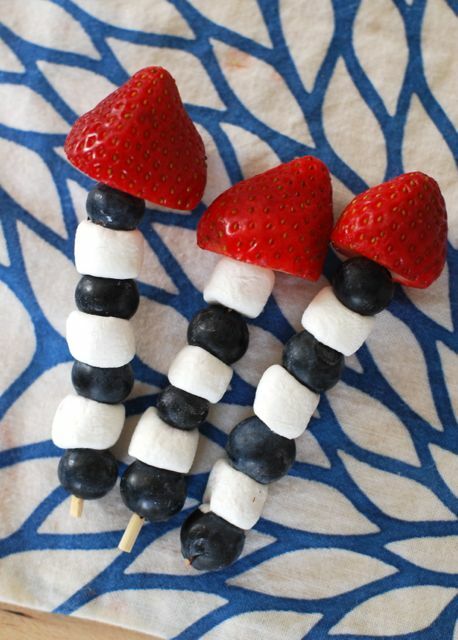 These cutie pie red white and blue skewers are perfect for the little ones. The marshmallows bring a touch of sweet among the ripe berries. If you don't have strawberries you can always use watermelon if you prefer. These are a snap to make ahead and take to any gathering with children this season! 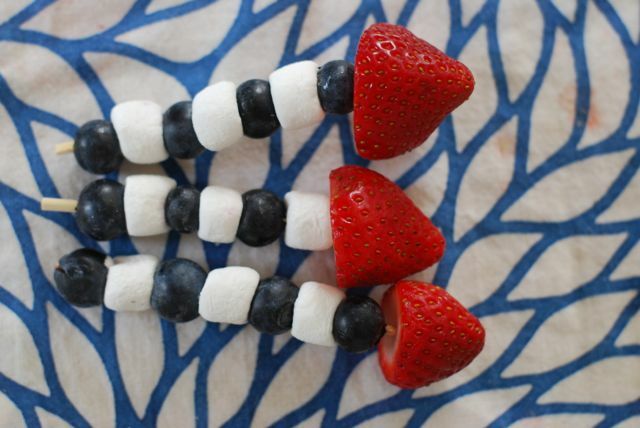 Get your kiddos excited about celebrating Independence Day AND eating fruit! Step 1: Make a skewer. Layer blueberries and mini-marshmallows on a skewer until you get one inch from the top. Step 2: Then top the skewer with a freshly washed and hulled strawberry.